EJIL: Talk! – Claims by Dual Nationals under Investment Treaties: A New Form of Treaty Abuse? Home International Economic Law Bilateral Investment Treaties Claims by Dual Nationals under Investment Treaties: A New Form of Treaty Abuse? Claims by Dual Nationals under Investment Treaties: A New Form of Treaty Abuse? The issue of treaty abuse (or ‘treaty shopping’) has received heightened attention recently in the context of the on-going negotiations for the conclusion of the Transatlantic Trade and Investment Partnership (TTIP). In a public consultation on the potential inclusion of an investor-State arbitration clause in TTIP, the European Commission (EC) has raised concerns regarding the investors’ manipulation of corporate nationality through the so-called “shell” or “mailbox” companies in order to take advantage of the protection afforded by investment treaties (See Public consultation on modalities for investment protection and ISDS in TTIP, Question 1, p. 18). In line with the contributions made by many of the participants involved in the consultation process, the EC has stated that these companies should be excluded from the scope of TTIP. Accordingly, the EC has proposed to narrow the definition of the term ‘investor’ by requiring that a juridical person must have ‘substantial business activities’ in the territory of a signatory State (See Public consultation on modalities for investment protection and ISDS in TTIP, Question 1, pg. 18). The foregoing requirement certainly responds to the criticisms of inappropriate treaty shopping, and it may be considered as a useful tool to prevent corporate investors from obtaining treaty protection by illegitimate means. Yet, the EC overlooks the fact that, in addition to corporations, investment treaties might also be subject to abuse by individual investors. In this context, a new type of BIT claim is now emerging in the field of investor-State arbitration, whereby investors who hold the nationality of both contracting parties to the treaty (i.e. dual nationals) make their own State a respondent before an international tribunal. Indeed, over the past year, several individuals have initiated UNCITRAL arbitration proceedings against their State of nationality claiming compensation for alleged breaches of BIT provisions. The most recent example is a claim filed on 9 November 2015 by a French-Mauritian national against Mauritius under the France-Mauritius BIT (See Dawood Rawat v. The Republic of Mauritius, UNCITRAL, Notice of Arbitration and Statement of Claim). These types of claims raise the question whether claims by individual investors holding two or more nationalities, including that of the host State, are an abuse of the rights conferred under investment treaties. This may be the case where, for instance, the investor acquires the second nationality to gain access to the dispute settlement mechanism contained in the relevant BIT, or when the only connection between the individual and the home State is a mere passport confirming his status as a national of that State. This question is closely related to a more fundamental one, namely whether dual nationals qualify as ‘investors’ under investment treaties and are thus (in principle) entitled to sue their own State before an international tribunal. In Dawood Rawat v. Mauritius, the purported investor asserts that, since the France-Mauritius BIT does not exclude dual nationals from its scope of application, he should not be prevented from claiming against his own State. More specifically, the claimant argues that, in circumstances where a BIT does not require that an investor is a national of only one of the Contracting States, the parties to that treaty cannot add an additional requirement to that effect. While it is true that the France-Mauritius BIT is silent on the issue of the standing of dual nationals, the question nonetheless arises as to whether this “silence” should be taken to conclude that investors are eligible to sue their own States under a BIT. The determination of the standing of a dual national under a given BIT depends (primarily) on the terms of the treaty itself and, in particular, on the definition of the term ‘investor’. Most investment treaties, however, simply require that individuals have the nationality of the home State without (expressly) addressing the issue of claims by dual nationals. Despite this, should one conclude that the provisions of the BIT itself are the decisive criteria for establishing whether dual nationals qualify as investors? In other words, should an arbitral tribunal also apply customary international law when ascertaining investors’ compliance with BIT nationality requirements? This question was raised for the first time in an on-going UNCITRAL arbitration initiated by Venezuelan-Spanish nationals Serafín García Armas and Karina García Gruber against Venezuela under the Spain-Venezuela BIT (See Serafín García Armas and Karina García Gruber v. The Bolivarian Republic of Venezuela, UNCITRAL, PCA Case No. 2013-3). In that case,* Venezuela objected to the jurisdiction ratione personae of the tribunal arguing, inter alia, that natural persons who posses the nationality of the respondent State do not qualify as investors under the BIT, especially when (as the respondent asserted) they have overwhelmingly stronger links with the respondent State. Given that the Spain-Venezuela BIT fails to regulate the status of dual nationals, Venezuela relied on customary international law pertaining to dual nationality in order to substantiate its objection to the jurisdiction of the tribunal. In particular, Venezuela invoked the dominant and effective nationality principle, according to which a dual national is entitled to bring a claim against her own State only if she maintains stronger ties (personal, economic, political etc.) with the home State, which did not apply to the claimants in the present case. In an award rendered on 15 December 2014, the tribunal rejected Venezuela’s arguments, ruling that, pursuant to the lex specialis maxim, the sole nationality criterion that applies in order to ascertain jurisdiction ratione personae under the BIT is the one provided for in the BIT itself. In the tribunal’s view, therefore, the fact that the BIT contained no express restrictions regarding dual nationals was sufficient to ground its jurisdiction, and allow the two Venezuelan investors to sue Venezuela. It is highly probable that States that have been subject to claims by dual nationals, such as Mauritius, will also raise similar jurisdictional objections, and the question still remains as to whether these (and other) States should submit to the jurisdiction of an arbitral tribunal under a BIT in a dispute involving their own nationals. More crucially, should an arbitral tribunal apply customary international law when determining the status of dual nationals under a BIT? It would therefore be plausible to argue that dual nationals should not be allowed to claim against their own State on the simple ground that there is no provision in the BIT prohibiting them from doing so. This is all the more so when, as in Serafín, the BIT explicitly requires that any dispute (jurisdictional or otherwise) be resolved by the application of principles of international law, in addition to the terms of the treaty. After all, it is widely accepted that BITs are not self-contained instruments, and as such they must be considered as part of a wider system that integrates rules from other sources of international law, such as customary law. Leaving aside treaty provisions, it must be recalled that one of the main objectives of BITs is to protect investments made by nationals of the other State party – that is, foreign investors. In this respect, one may question whether an individual claimant who holds the nationality of the host State should qualify as a ‘foreign’ investor under the BIT, especially if he has substantial connections with that State. By the same token, it is difficult to see how the expectations of contracting parties to promote and protect foreign investments will be fulfilled if the such investments are made in the host State by a national of that State. 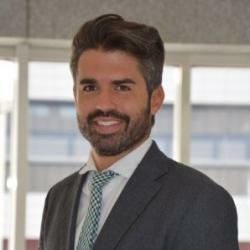 In short, as a result of the decision of the tribunal in Serafín, individual investors now have a new way to ‘internationalise’ their claims against their own States through the acquisition of a second passport in order to take advantage of a BIT, and it is reasonable to expect that such claims will continue to increase. In this context, TTIP negotiators may wish to consider addressing the issue of dual nationality in the relevant treaty with a view to avoiding potential abuse (as the USA has, for instance, done in its Model BIT of 2012). In the meantime, it remains to be seen whether the tribunals deciding claims by dual nationals will follow the restrictive approach adopted in Serafín or if, on the contrary, they will apply the limitations imposed by customary international law when necessary in order to safeguard the objet and purpose of investment treaties. * The author acted as counsel for Venezuela during the jurisdictional phase of the UNCITRAL arbitration in Serafín García Armas et al v. Venezuela. Comments Off on Claims by Dual Nationals under Investment Treaties: A New Form of Treaty Abuse?